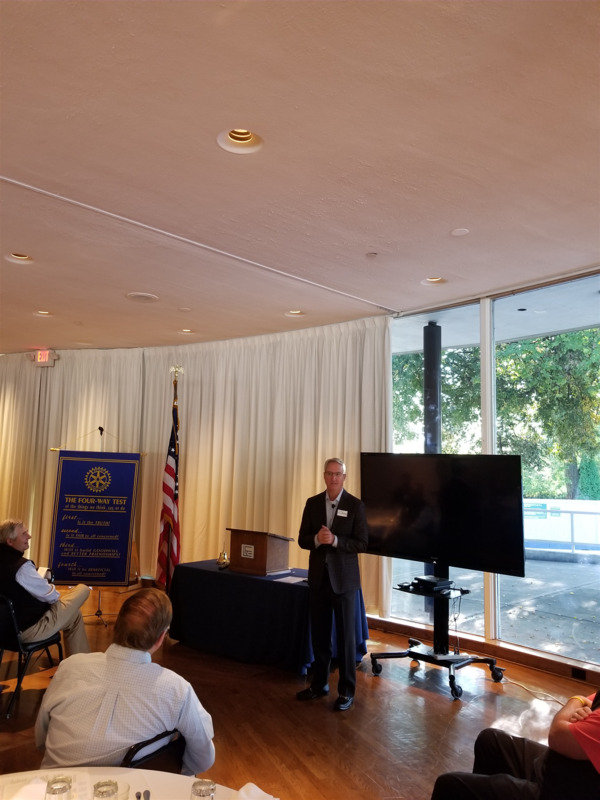 Quarterbacking today's presentation was Club Member, Ron Salski, as Brian McCaskey, Vice President, Chicago Bears executed the Game Plan. While staying somewhat on topic, all too many of these great Strategies and Traditions go back to Papa Bear himself, George Halas. Brian had some great family stories involving Trades for Babe Ruth, the Rivalry with Curly Lambeau (not necessarily the Green Bay Packers) and how Mom still goes to Every Game (Bear Down!) and all over town. Oh yeah, ask Brian on how to get moved up on the Season Ticket waiting list; better yet, ask his buddy in Island Lake! Thanks Brian and to the McCaskey family for all they do off the field as we got a look into the playbook of Football's First Family.